I have already told the story of my own experience with one de Havilland twin, the DH88 Comet, and I enjoyed sharing it. So I thought why not share another aircraft I ticked off the bucket list this year? The Mosquito. 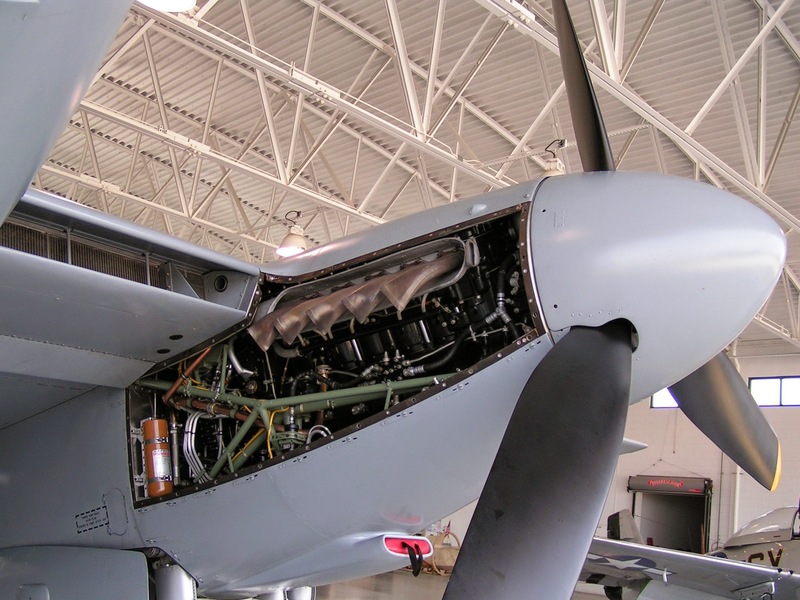 For those that don’t know the Mosquito was one of the most versatile and important British aircraft of the Second World War. It was used as a Bomber, Fighter, Reconnaissance Aircraft, Path Finder, Ground Attack Aircraft and even an Airliner during the course of the war! The Mosquito performed all of this equally well and had an exceptional record. 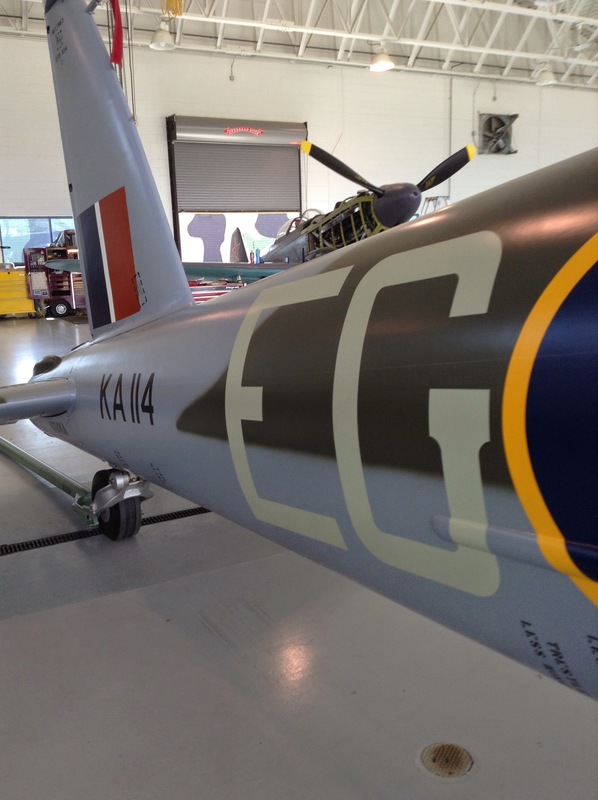 Until recently there had been no airworthy Mosquito, but this changed when collector Jerry Yagen’s long term Mosquito project KA114 finally flew in 2012. When it became apparent that this year would bring about a chance for a holiday in America the collective minds of our family started jumping at the things we wanted to try and fit in to get the most out of our flights. New York was a must as were a few other tourist excursions. 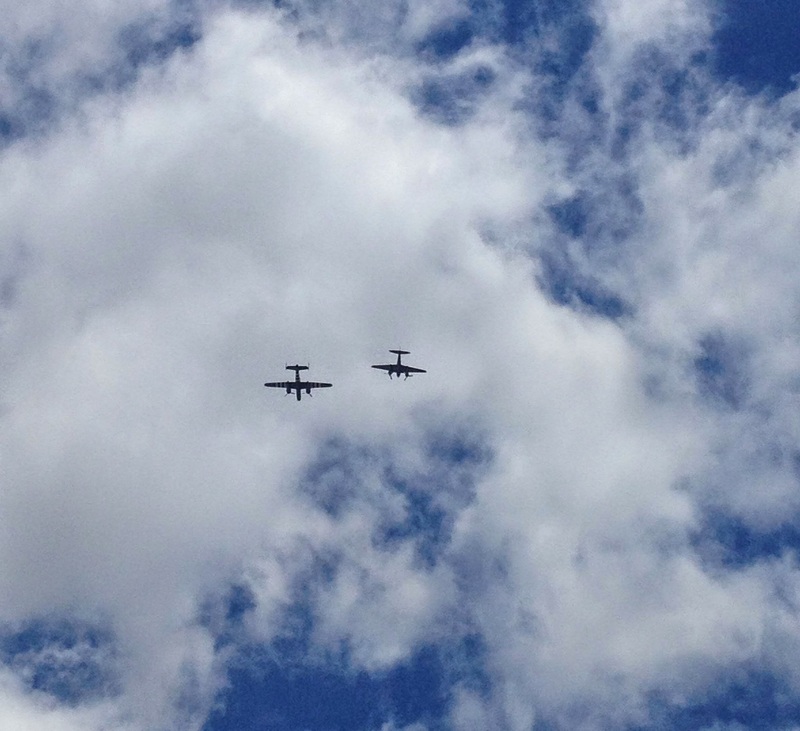 But my Dad and I tend not to holiday well if there isn’t a warbird or two to be chasing! I had always wanted to see a Mosquito fly and it just so happened that the only airworthy (at the time,) example was based in America, the recently flown FB.26, KA114, beautifully restored by Avspecs in New Zealand and owned by Jerry Yagen. However we decided that sadly, Virginia Beach’s Military Aviation Museum, where Mr. Yagen housed his collection, would be too far to drive. 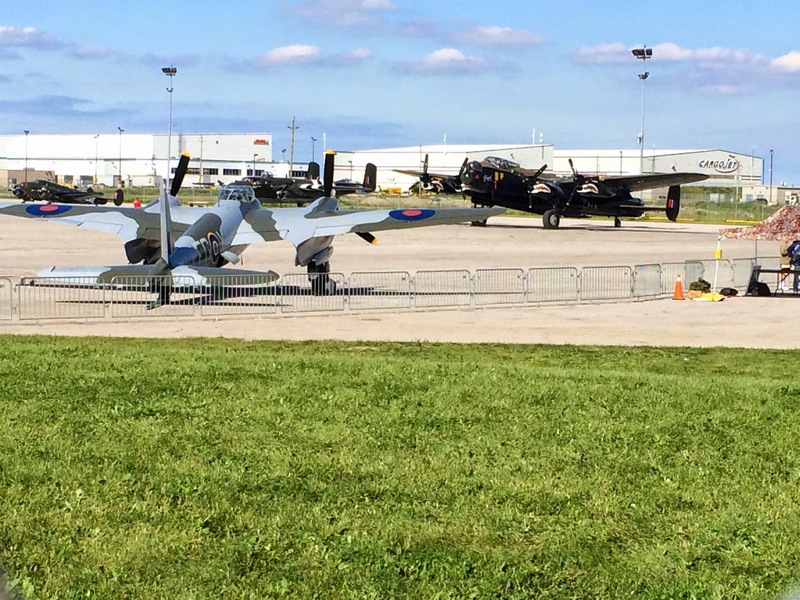 So we settled on winding our way up to Hamilton, home to the Canadian Warplane Heritage Museum, in the hope the mosquito would be returning to their show following its appearance in 2013. 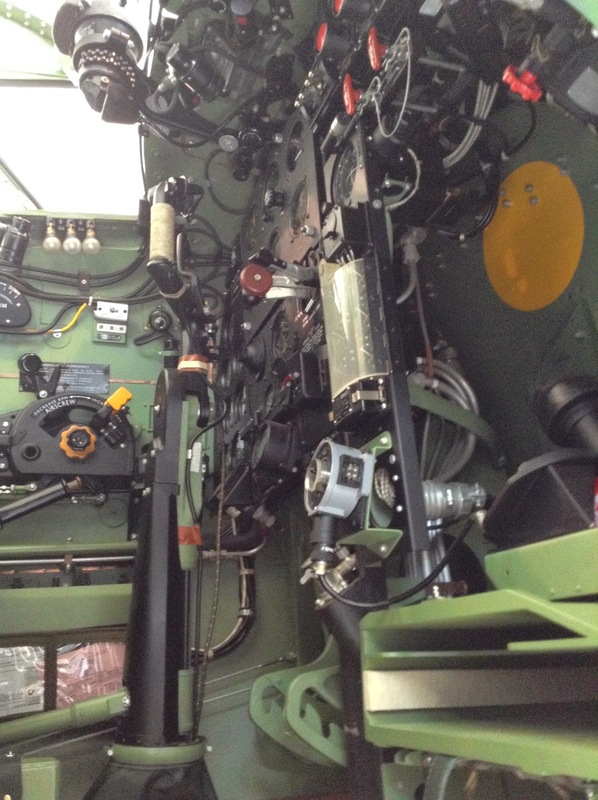 This would, of course come with the bonus of seeing a second flying Lancaster; little did we know the plans for the Lancaster tour soon to be announced! We carried on our planning, including a visit to the Reading World War 2 weekend, and it seemed we had fitted in all we could. But there was this nagging voice in my head saying you never know if you will make it back to America or be that close to a flying Mosquito again, surely we could fit it in? With some changes here and there it turned out we could make it work. I’ll skip the other details and just get to our arrival at the Military Aviation Museum. It was so exciting to be at the place I’d read so much about and enviously looked at pictures of. 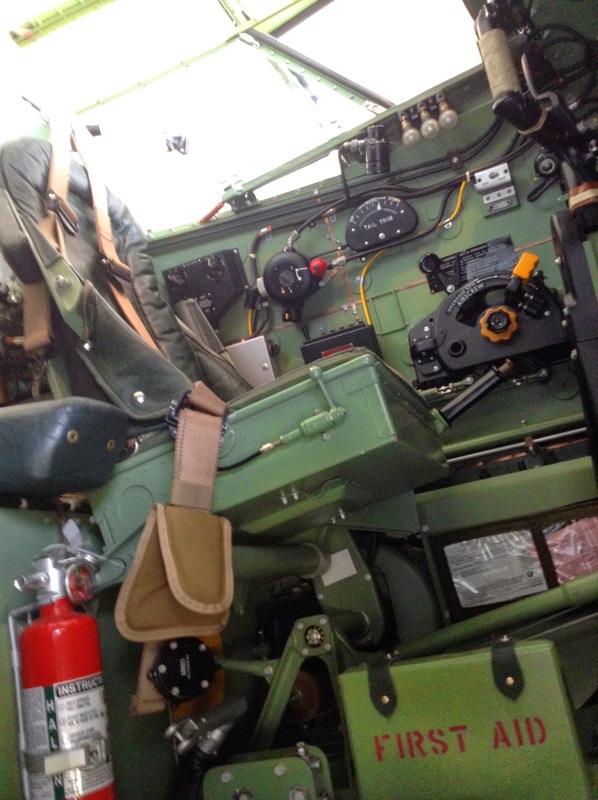 You were able to walk right up to the aircraft, look into the cockpits and get a real feel for the machines. There were a number of rare machines too; it was nice to see the ex-Duxford La-9 again in one of the hangars, as well as a first for me, the MIG-3. But there was something missing, there was no sign of the “Wooden Wonder”. I had been in contact with TK, the manager of the Fighter Factory, the museums maintenance facility, who had been gracious in answering my questions about any potential flights happening in the few days we were in town. We asked at the front desk and were told we could walk up to the Fighter Factory and see the Mosquito there. We walked in and were soon told we would need a guide. I thought I would try my luck and mention I had been talking with TK, in all truth expecting to still be told to wait for a guide. But after a short wait the man himself greeted us. What followed was one of the warmest welcomes I have ever received. 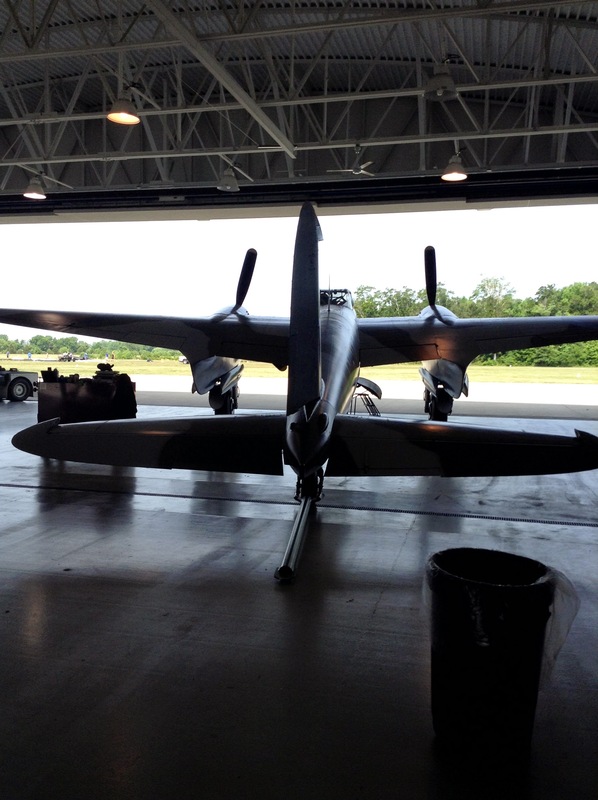 TK introduced himself and the aircraft in the hangar, he explained that the Mosquito would not be running on the day, but a Mustang was just about to and asked if we would like to come and watch that. Following the Mustang run we were asked if we would like a closer look at the “Mossy” (As TK calls it), he didn’t have to ask us twice! We were taken through every detail of the machine and allowed to look into the cockpit, the rear hatch as well as under the cowling, which was removed from one of the engines. We were even allowed to tap the famous wooden fuselage! Wonderful. I can confirm that the restoration is of the highest of standards. Even down to the guns in the nose, reproductions produced by the company responsible for the props in the Lord Of The Rings movies. We were then introduced to the Mosquito crew chief, Al, who was also happy to chat with us and answer more of our questions. I still can’t thank them enough for allowing us a close view of the Mosquito and giving up their time to talk to us. We returned to the fighter factory the next day for another look around, to find the Mosquito out of the hangar, but hopes of any flying were quickly dashed as it was only outside for a hangar spring clean. Soon enough our 3 days were up and we had to say goodbye to Virginia Beach, TK, Al and the rest of the Fighter Factory team as we started the long journey up to Hamilton, one which would take us 6 days and that took the Mossy 2 hours! The Mosquito outside the Fighter Factory hangar. 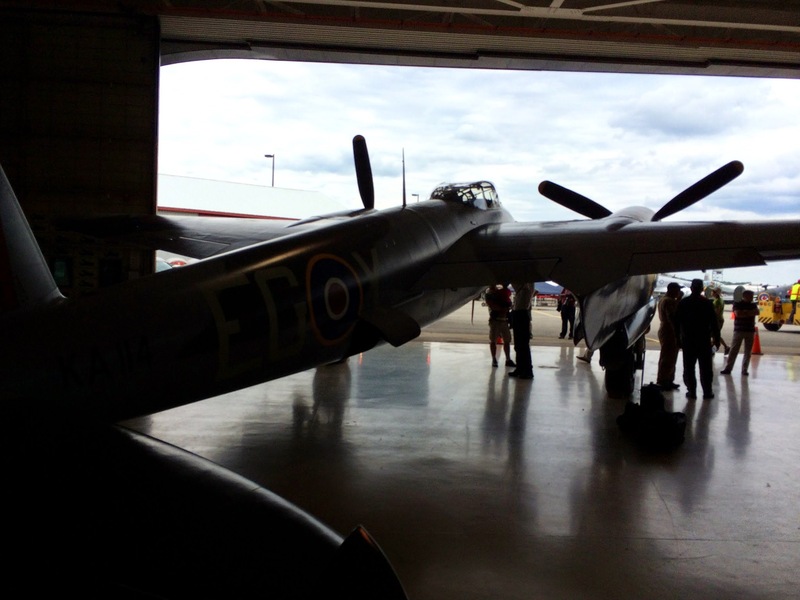 With those six days behind us, we found ourselves walking into the Canadian Warplane Heritage Museum at Hamilton. Our first day at Hamilton can best be described as tense, being the final few days of our holiday it was our last chance to see the Mosquito in the air. 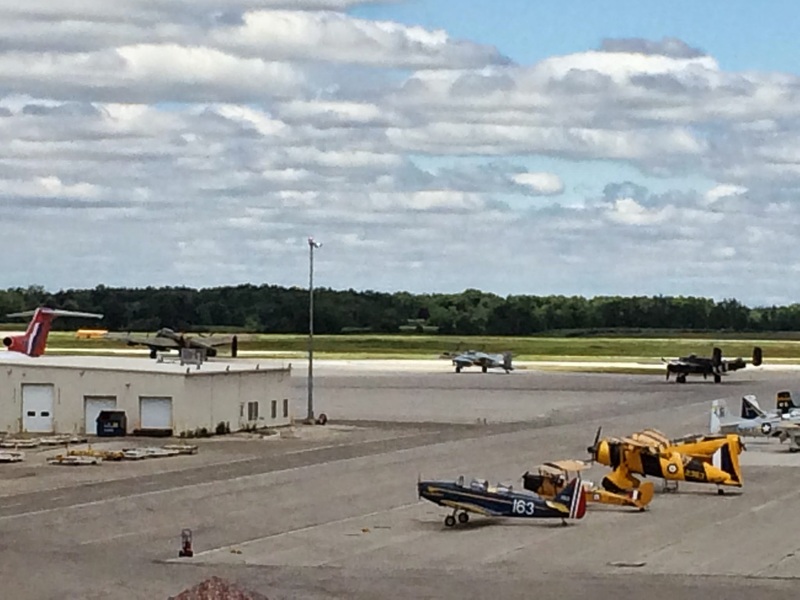 We were lucky enough to watch as the resident Lancaster went up on a number of flights, as well as the arrival of Diamond Lil, the Commemorative Air Force’s B24. I’ll admit I didn’t enjoy this as much as I should have, I spent the day anxiously checking my phone to hear if the Mosquito had left Virginia Beach, the outlook wasn’t good as I was told they could not see the other side of the field for the rain. So came day two, Friday morning, we were on a flight back to London the following evening, the Mosquito was due today. This time it was the weather conditions in Hamilton that were far from ideal with low cloud and rain in the area. Despite this we saw another couple of flights from the Lancaster, spending most of the day up on the raised viewing platform at the museum, waiting, with our fingers crossed. A planned departure time of 10 came and went with no word of departure, it didn’t actually depart until nearer 12, as the end of the two-hour flight approached we positioned at the viewing platform and waited. Soon enough joining in a high run and break was the unmistakable shape. It banked over the top of us and joined downwind, a huge sigh of relief was felt as I mentally ticked it off that bucket list and watched it land and taxi in. It had finally happened. We watched as it was put to bed in the hangar for the night and had the chance to get up close once again. KA114 taxies in beside the Lancaster on arrival. Saturday morning came and our final day in Canada had arrived, and with it another chance to see the Mosquito fly, or so we thought. Word around the airfield was that the Mosquito might not be flying at all until the evening display, which we could not make. Luckily the hangar doors opened around lunchtime and the mosquito was put out on the line. We headed up to the viewing enclosure and watched as she fired up. Starting up alongside, to our amazement were the Lancaster and the Mitchell, watching all three aircraft taxi out was certainly a sight to remember. 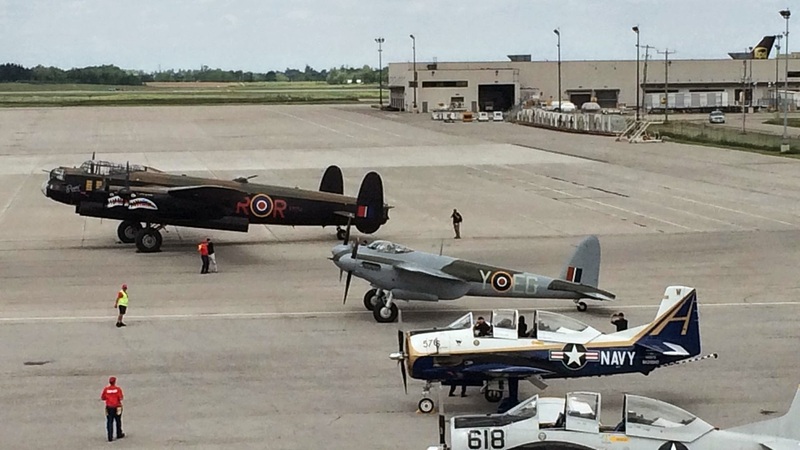 The Mosquito taxies out, with the Lancaster and Mitchell behind it. 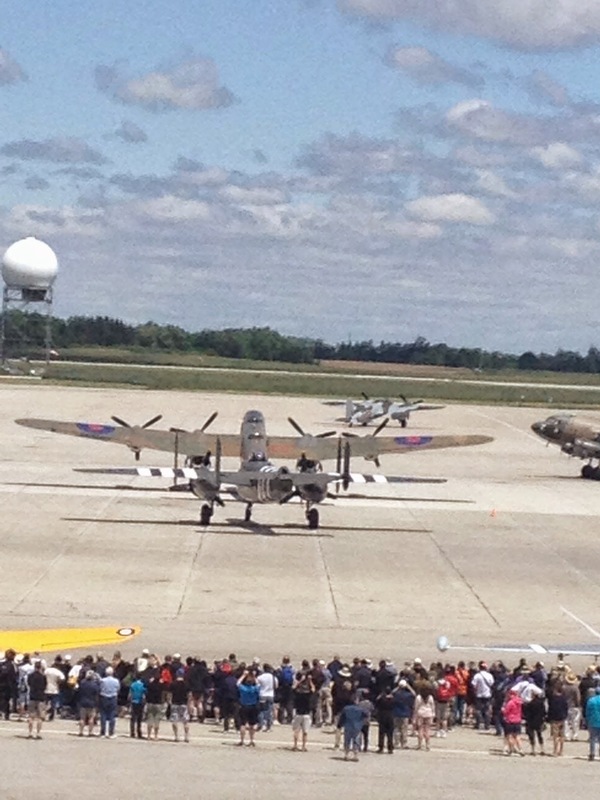 The Lancaster leads the Mosquito and Mitchell out to the runway. The runway at Hamilton is sadly distant from the crowd line but we could make out the Mosquito as it hurriedly made its way into the air following the mighty Lancaster. The three aircraft disappeared from our view behind the building until I noticed the sea of lenses pointed behind us. Shortly after, the Mitchell with the Mosquito tucked along side passed over our heads, followed by the Lancaster, we then watched as they disappeared out of view. The Mitchell flies over, with the Mosquito tucked in behind it. That was it, for 45 minutes or so we waited for the Mossy to return, and it did, with a straight in approach we could only just see but none the less, it was a lot more Mosquito than I had ever seen fly before! We spent the rest of the day enjoying the Museums Skyfest event, watching the based aircraft go up on pleasure flight duties. But soon we had to leave to catch out flight, waving KA114 goodbye as we went. 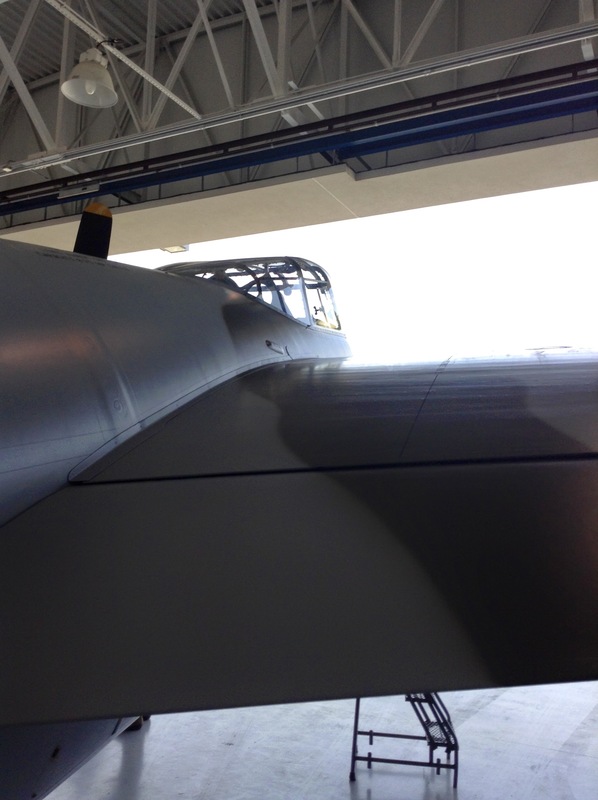 KA114 waits for the next flight, with the Lancaster looking on. 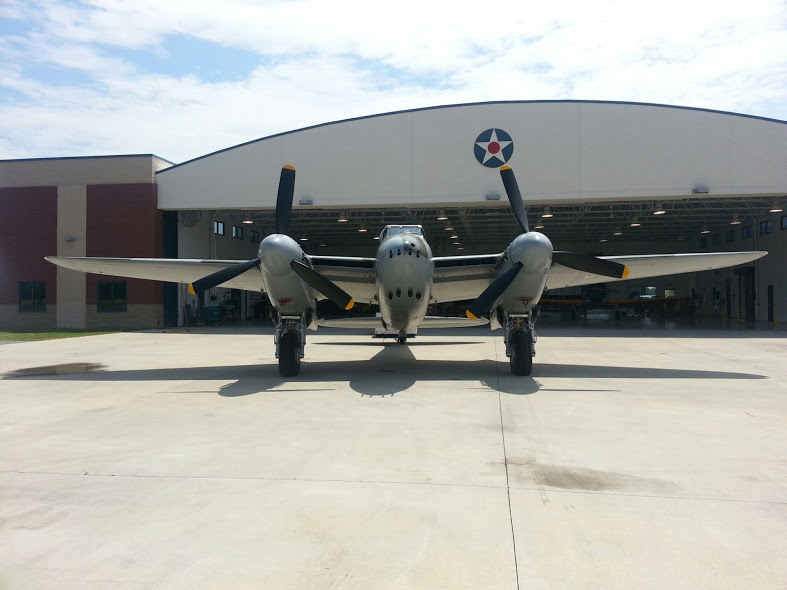 So another tick on the list and a wonderful experience, I hope once day I’m lucky enough to return to visit the Mosquito, TK and the Fighter Factory at Virginia Beach. Maybe I can stand on the edge of the grass runway as the Mosquito roars by. 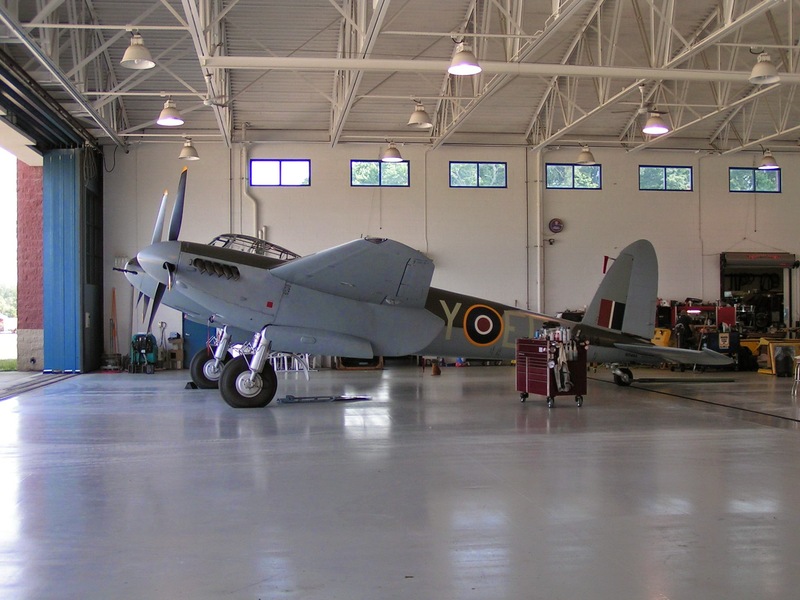 Since visiting the states a second Mosquito has taken to the skies, this time in Canada, a B35 Model owned by Bob Jens. With more under rebuild in New Zealand, things are looking up for the type. I’ve been lucky this year, in seeing both the DH88 Comet and DH98 Mosquito fly for the first time, but I think my ultimate de Havilland dream may be a little harder to realize. Anybody out there hiding a Hornet? 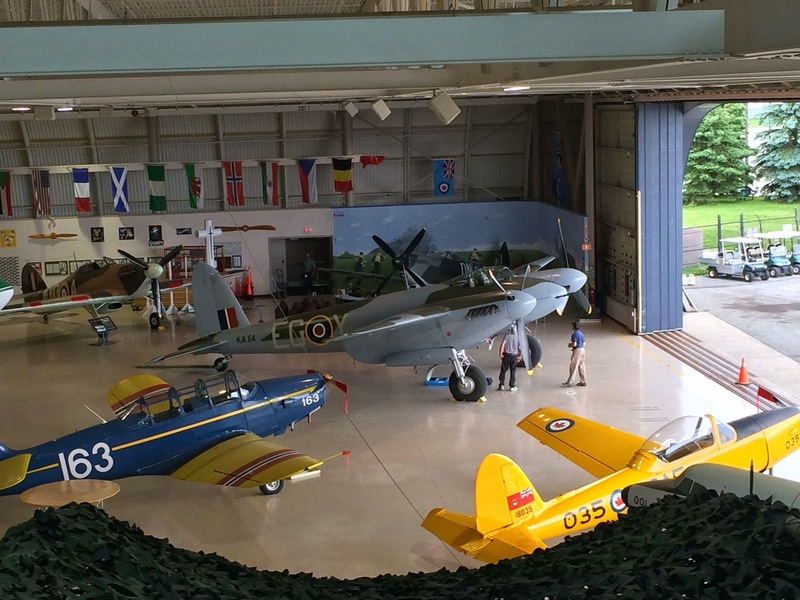 I’d like to thank all at the Military Aviation Museum (http://www.militaryaviationmuseum.org), The Fighter Factory (http://www.fighterfactory.com) and the Canadian Warplane Heritage Museum (http://www.warplane.com) for providing the opportunity to get up close to and see an airworthy Mosquito fly. Thanks also go of course to Jerry Yagen and Avspecs, for bringing a much loved type out of airworthy extinction.